Fondue is a commitment. Sure, one could always vary the flavors by mixing up dippables, but when making a choice about what to actually melt, well, you’ve made your choice; there’s no going back. 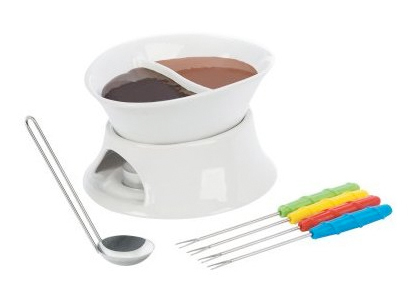 While a row of two or more fondue pots might sound like a good idea (or at least a delicious one), executing that dream is probably more trouble than it is worth.